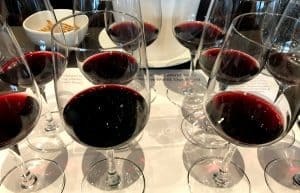 The wine world was rocked when the Court of Master Sommeliers announced this week that they were invalidating the results from the tasting portion of this year’s MS Exam. 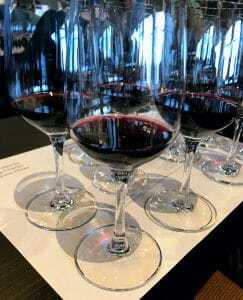 The Court found evidence that details about the blind tasting wines were divulged by a proctoring Master Sommelier. The fallout meant that 23 of the 24 new Master Sommeliers would have to retake the tasting portion. Only one new Master Sommelier, Morgan Harris who passed tasting the year before and just needed to pass service, kept his pin. When I wrote my post It’s Raining Masters about the shock over the huge number of new Master Sommeliers, I never expected this. My first thought was that maybe the was getting “relatively” easier. At least, compared to the “wine savvy” of today’s somms and consumers . I say “relatively” easier because I sure and the heck couldn’t pass it. But it made sense that more people were taking and passing the exam because we are in a sort of “golden age” of wine knowledge right now. Just compare what the average wine enthusiast, much less the average sommelier, knows about wine today to what they did 30 or even 50 years ago. But for the Master Somm exam, cheating never once crossed my mind. That may have been naive. This is likely not the first time it has happened. Anything worth attaining will be worth, in someone’s mind, risking it all to get. Even if the collateral damage is devastating. Update: WineSearcher.com posted a letter from the partner of one of the MS candidates impacted by the scandal. This letter includes another detail about how exactly the cheating may have occurred. I’ve added this new detail underneath the How Did the Court Find Out? section. 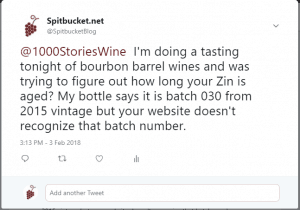 Update Part II: WineSearcher.com posted another great scoop October 24th about the fallout after the Court first announced the scandal. I’ve included a link and more details underneath the Who Did It? section. Update Part III: On December 5th, the first of the 3 potential make up exams for the blind tasting portion was held in St. Louis. The results were released the next day and 6 of the 23 impacted candidates got their Master Sommelier certifications back. Their names are posted in the What’s Next? section. Until this year, only 274 people were Master Sommeliers. Popularized by the movie Somm, the amount of time, work and dedication required to take and pass the exam earned a mythos around the title. Along with the Master of Wine exam, this is the pinnacle of the wine world. If you wanted to challenge yourself–if you wanted to be the best of the best–this was your goal. But I think the most newsworthy part of this story is not the cheating (which, again, would be naive to assume doesn’t happen) but rather the dramatic move by the Court to invalidate the results and upend the lives of 23 people. Despite having evidence of which Master Sommelier led the cheating, they apparently don’t know who benefited from it. Undoubtedly, the collateral damage includes innocent people. Reading their stories is heartbreaking. 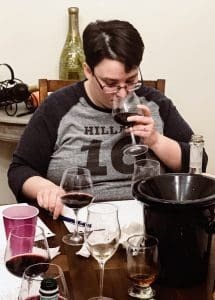 Several of the impacted candidates have shared their personal pain in private discussion groups like the GuildSomm discussion board (open to members only). Wine Spectator highlights one of those stories in an October 10th article. In interviews given to the media, several candidates talked about the personal and financial toil (including tens of thousands of dollars) that studying for the exam has. How Did the Court Find Out? 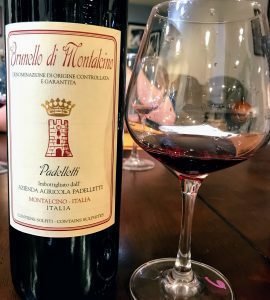 Frances Dinkelspiel of the Daily Beast reported that a lawyer contacted the Court of Master Sommeliers about impropriety that occurred during the last testing session. Neither the article nor the Court have divulged who the lawyer represented. In the same Daily Beast article, Morgan Harris speculated that “Whoever was cheating must have confessed,”. If this was the case, then why are the other 22 (?) or so still under scrutiny? 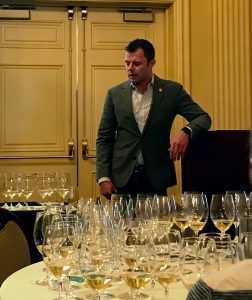 In his October 19th article “Somm Scandal: A Question of Integrity”, Don Kavanagh of WineSearcher.com posted a letter by Cameron Pilkey whose partner (Dan Pilkey?) was one of the 23 MS candidates impacted. The letter included a very interesting detail about how the cheating may have occurred. This letter seems to confirm the rumors that an email from the offending Master Sommelier was the avenue of the cheating. But it still hasn’t been released who or how many candidates received the email–though the plural indicates likely more than one recipient. The detail of initials is also interesting to ponder. 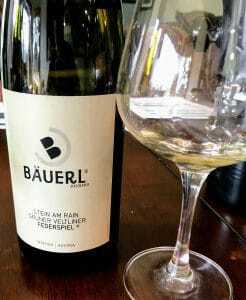 While the testable wines for the Master Sommelier exam is not public, Guild Somm has published a list of Probable Red and White wines for the Advance Sommelier exam. While not definitive, these lists are good starting points. So what could the “helpful” initials have been? Speaking for myself, I often get in trouble with Cabernet Franc, Chenin blanc and Pinot gris with blind tasting. Knowing if any of those varieties were in the flight would have been of immense help. Screen shot from Reggie Narito’s public blog. The Court has not named the offending Master Sommelier–likely for legal reasons. 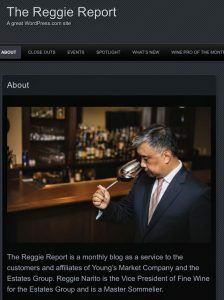 Don Kavanagh and Robert Myers of WineSearcher.com believed they’ve uncovered it by comparing lists of current Master Sommeliers and noting that one sommelier–Regino “Reggie” Narito Jr.–has been removed from the Court’s membership roles. It would be unfair to speculate beyond what has been publicly posted but reading Narito’s last blog entry from September 26th, 2018 only highlights the collateral damage of this scandal. Here he speaks of the journey, hardships and many failed attempts of 3 of the successful candidates who had their titles now stripped from them. The story of Christopher Ramelb (previously quoted by Wine Spectator above) in particular really got me. 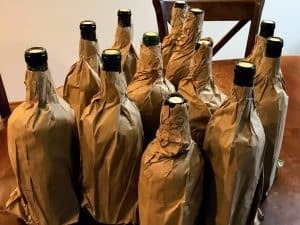 Liza B. Zimmerman of WineSearcher.com interviewed a Master Sommelier about the scandal off the record but was able to publish some interesting details about what happened after the Court of Master Sommeliers announced the scandal on October 9th. On October 10th, one of the impacted MS candidates, Justin Timset, sent a later to the Court. In it he names Reggie Narito as the MS who “broke the Court’s code of ethics”. This was a day before WineSearcher.com released their article speculating that Narito was the disgraced MS.
Zimmerman’s article also notes that Narito’s then-employer, the distributor Young’s Market Company, only public comment on the scandal is to note that Narito’s Linkedin profile no longer list Young’s his place of employment. 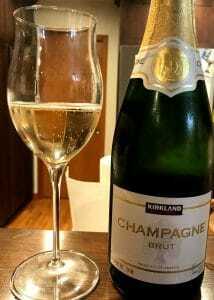 However, that maybe a duplicate or fake profile since another LinkedIn profile featuring the same picture that Narito uses on his blog still list VP of Fine Wine at Youngs Market Company as present employment. 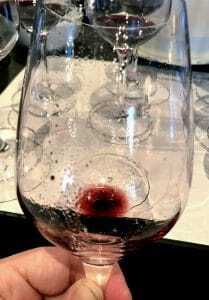 The latest WineSearcher.com articles goes into the complex and murky influences that distributors may have on the MS exam. Zimmerman quotes her inside source claiming that “The court has been infiltrated by distributors’ interest”. He added that through the long process of mentoring a handful of students, wholesalers are also likely to do more than just taste with their hand-picked protégées. The relationship is likely to also have included expensive meals and other treats which can be put on the wholesalers’ expense accounts to curry favor with promising sommeliers who are also their customers. A few days ago, the Court of Master Sommeliers released their plans for retesting those impacted by the scandal. First, the candidates who both passed and failed the tasting exam will have their exam fee refunded. Additionally, they will see their resitting fees waived as well. The Court will offer 3 opportunities over the course of the next year to retake the exam. Some candidates will receive travel assistance as well. 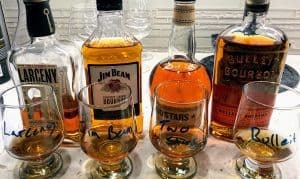 Many of the 23 people who passed tasting this year are not going to pass again–even if they deserve to. Spago Sommelier Cristie Norman gives a great analogy that sums up almost what a crapshoot blind tasting really is. So much of blind tasting is mental. These candidates are going to have an even bigger burden on their shoulders than they did at the first exam. Failing the retake will unfairly associate the candidates even more with the scandal. This is why it’s important to release the names of the cheaters. The first of the 3 make up exams has happened. All together 30 of the 54 individuals who took the tainted September exams resat for this round. While I haven’t be able to find out exactly how many of the 23 impacted candidates were part of this exam, it was announced on December 6 that six candidates passed. All six newly minted Master Sommeliers were among the 23 candidates impacted by this recent scandal. It’s not surprising that most of the candidates are balking at the Court’s offer and “fighting back” in a letter shared with the Chicago Tribune. The Chicago Tribune doesn’t note who signed the letter–outside of naming Chicago-area candidates Jill Zimorski and Dan Pilkey. Nor does the Tribune divulged the 4 candidates whose names were absent. 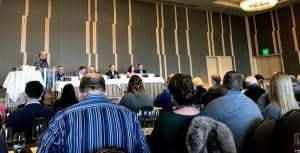 Even though media outlets have been quoting comments from impacted candidates shared on the GuildSomm discussion boards, I would encourage interested readers to consider joining GuildSomm as a member to access the forums legitimately. 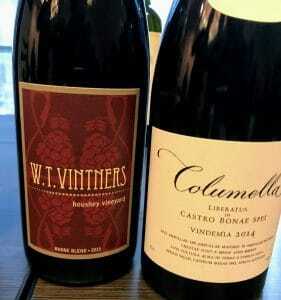 Far beyond this scandal, GuildSomm membership offers numerous other benefits. From classes to articles, maps, tasting kit discounts and more–it’s worth wine geeks looking into. 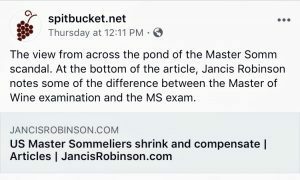 This was a great article by Elaine Chukan Brown and I really liked Jancis Robinson’s explanation on how the Master of Wine Exam is different than the Master Sommelier exam. 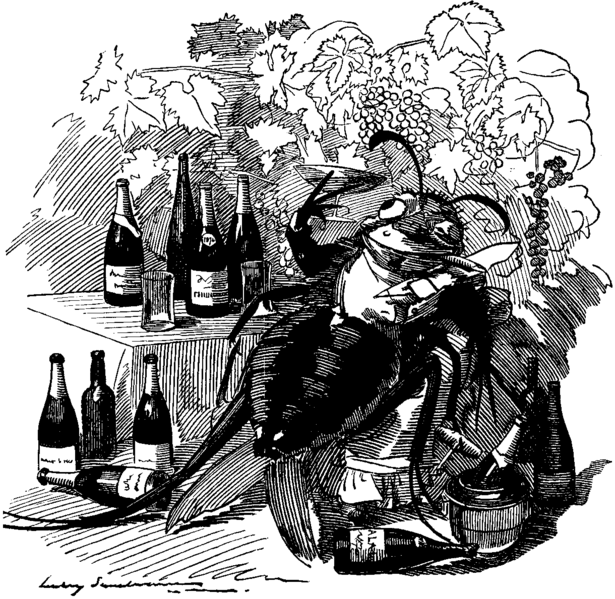 Many members of the wine industry frequent the Wine Beserkers forum. While you should always be cautious about what is posted online, their discussion thread on the topic does at least provide another perspective. 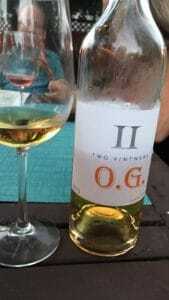 Reddit’s r/Wine community also has had several threads on the scandal. However, given the more anonymous nature of Reddit, I would urge more caution in taking what you’ve read at facevalue. SpitBucket’s Facebook page. Apart from the blog, I use SpitBucket’s Facebook page as a curated news feed. Here I post articles and blogs that I’m reading. I’ve been posting a lot of articles about this scandal and will post more as new details emerge. Tagged Andrey Ivanov, Chicago Tribune, Christopher Ramelb, Court of Master Sommeliers, Cristie Norman, Daily Beast, Dan Pilkey, Dana Gaiser, Don Kavanagh, Douglas Kim, Eater Magazine, Elaine Chukan Brown, Frances Dinkelspiel, GuildSomm, Jancis Robinson, Jill Zimorski, Justin Timset, Liza B. Zimmerman, Master of Wine, Master Sommelier, Master Sommelier Cheating Scandal, Maximilian Kast, Mia Van de Water, Morgan Harris, Reddit, Reggie Narito, Robert Myers, Somm, Steven McDonald, Wine Beserkers, Wine Spectator, winesearcher.com. 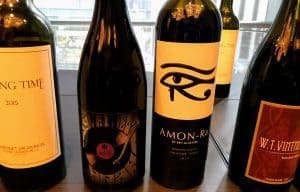 Update: Check out my post Exploring the Cascade Valley at WBC18 about the wines featured at the lunch this day as well as my Day 3 overview for more details about the conference. 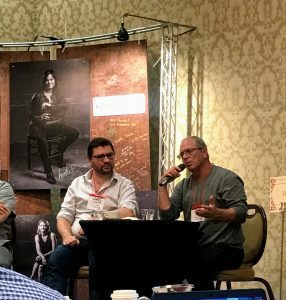 I’m darting away from the 2018 Wine Bloggers Conference activities to jot down a few quick thoughts from yesterday’s events. To see my thoughts from Day 1 check out my post here as well as my pre-conference worryfest here. While a lot of those fears ended up unfounded, Day 2 introduced quite a few meaty questions for me to gnaw on. It seems like an unofficial theme for Day 2 was “Why Are You Blogging?” with the morning panel and keynote speaker prompting a lot of inward reflection. I will admit that this is a question that has been wrangling around my head for a while now and will probably be the source of much rumination on the long drive home tomorrow. This panel, moderated by Thaddeus Buggs of The Minority Wine Report, featured James Forsyth of Vinous/Delectable, Michael Wangbickler of Balzac Communications and Tom Wark of the Fermentation Wine Blog. The aim of the panel was to distinguish what may separate a blogger from an influencer as well as how the future of social media and niche apps like Delectable could impact both. I may write up a fuller review of this panel but there were three big takeaways that I got that really caught my attention. Social media isn’t an alternative to blogging but it is another channel. While its ideal to utilize multiple channels, some are more tailored to certain audiences than others. For instance, Instagram seems to appeal more to image driven and younger generations while Facebook tends to cater to more lifestyle driven and older audiences. Twitter appeals to a diverse demographic that prefers one on one interactions. Thaddeus Buggs (far left) of the Minority Wine Report and Michael Wangbickler of Balzac Communication (left seated). Who is my audience? This is something I will definitely be pondering more. I think I can eliminate the image driven side. I personally don’t view wine as an “image accessory” nor do I write like it is. To me, wine is about enjoyment rather than enhancing status or image. I feel like my style caters more towards the wine student and general enthusiasts but who knows? Maybe you guys can help me with some thoughts in the comments. If you are going to blog then you should focus on something that you can be the champion of and commit to posting at least once a week, if not more. Don’t be a generalist. Be the go-to person for something. What do I want to champion? Or maybe to put it another way, what drives my passion that can fuel a commitment to write steadily about a topic? This is a dozy for me to chomp on because I can’t really say that I have had a focus with this blog at all. 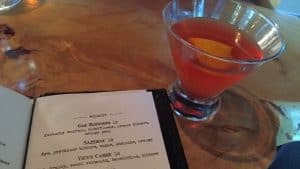 I’ve definitely followed more the generalist approach, writing about whatever has tickled my fancy at a particular moment–even dipping my toes into the world of spirits and beer occasionally. Do I need to hunker down and focus on something? What can I possible be the “go-to person” for? My initial instinct is to focus more on the wine student aspect and write about the info that I have been seeking out for my studies. In some ways that has always been an impetus for me in writing. 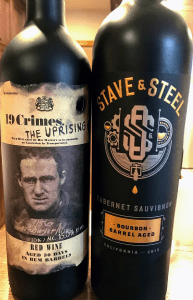 Wine info is scattered across the internet and books and I initially started writing wine articles for Wikipedia as a way to consolidate and digest that info into one source. Do I continue that path with things like my Keeping Up With The Joneses of Burgundy series, Bordeaux Futures and expanded research articles on figures like Martin Ray, Bob Betz, W.B. Bridgman, etc? Niche apps like Delectable are ways that writers can build credibility and authority with publishing their reviews as well as get useful backlinks. Eh? Reviews are something that will probably always have me conflicted. To be 100% brutally honest, I really don’t think anyone should give a flying flip about what I think about a wine. This is also why the idea of being “an influencer” never appealed to me. 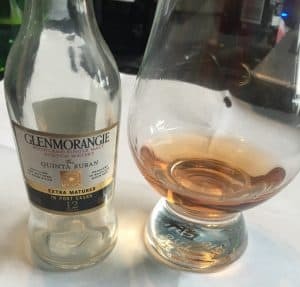 If you read my review and go out and buy a bottle of wine, you are spending your money and you will be the one drinking the bottle–so really only your opinion should matter. This is why I very deliberately organize my reviews to have my opinion shoved down to the bottom. For me, the story of the wine and whatever cool or unique details I discover are far more important. 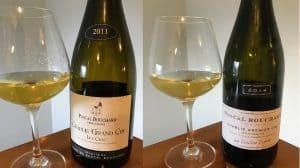 I will share my opinion on the relative value of the wine versus its cost only because I’ve spent probably way too much money on wine and have learned a few lessons the hard way. I say “relative value” because ultimately we each have to decide on our own if a wine is worth paying what the asking price is–like $2600+ for a bottle of Petrus. That’s a decision that I can never make for you–nor should you ever want me to. 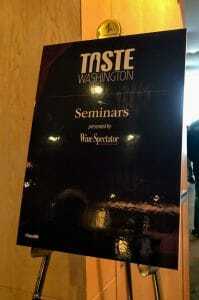 I was looking forward to this event moderated by Master Sommelier Chris Tanghe. Since I’ve joined the Somm Select Blind 6 subscription, Albarino has been a royal pain in the rear for me to pick out blind. 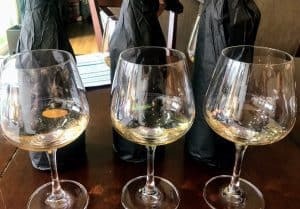 I confuse it so often with several different wines–Oregon Pinot gris, California Viognier, Argentine Torrontes–that I haven’t honed in yet on what’s my blind spot with this variety. My Albarino issue is probably fodder for a future post but, after trying 8 vastly different examples of the variety from the Spanish wine region of Rías Baixas, I now have at least one razor sharp tell-tale of the variety to look for. Every single one has this very precise and vivid streak of salinity–even the examples that had a lot of oak influence. 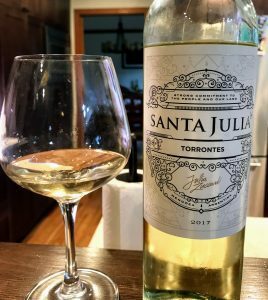 While the highly floral and perfume examples will still probably steer me towards Torrontes while the weightier examples will trip up me thinking about Pinot gris or Viognier depending on the fruit profiles, it may ultimately be the salt that leads me home. Lewis Perdue has a long history in journalism and the wine industry–working for the Washington Post and founding Wine Business Monthly. He currently manages the website Wine Industry Insights which is most prominently known for its daily email News Fetch that is curated by Perdue and Becca Yeamans-Irwin (The Academic Wino). The bulk of Perdue’s very excellent keynote was about the importance of bloggers building and maintaining trust with their audience. He made the very salient point that admist all the noise of traditional and digital media, ultimately the readers are buying into you and you have to demonstrate that you are worth their time and attention. A big part of that worth is your credibility. From here Perdue highlighted several pratfalls that befall bloggers who seek out paid promotion opportunities from wineries (are they being upfront with their readers and the Federal Trade Commission?) and noted that the more “the sell” increases in your writings, the less credible you are. Ultimately each blogger has to answer the question “Why are you blogging?” Are you trying to make money? Trying to inform? Trying to build a reputation? I know I’ve very fortunate in that I don’t have to try and scrape together a living from blogging. My wife is a manager in the tech field which safely covers all our bills (especially the wine bills). Listening to Perdue’s keynote as well as comments from the panel earlier and the seminars I took on Day 3 of the Wine Bloggers Conference has only solidified in my mind that I really don’t want to bother at all with influencing/paid promotion junk. Which probably takes my blog off of a lot of PR and wineries’ radars but oh well. 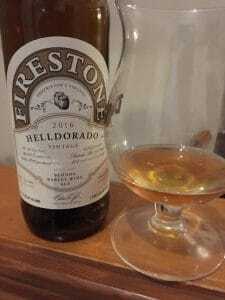 If your winery is really interesting and doing cool stuff like Tablas Creek or Domaine Henri Gouges, I’ll probably find you eventually and be glad to spend my own money on your product. I know that if it lives up to the hype, I’m going to have a heck of a lot more fun writing about it and telling others than if a winery came knocking on my digital door wanting me to tout some mass-produced Cabernet and Chardonnay. Frankly if you ever see me writing multiple posts about some bulk brand, dear readers, don’t go and buy the wine. That’s my distress signal. I’ve been kidnap. Send help. But back to Perdue’s question. 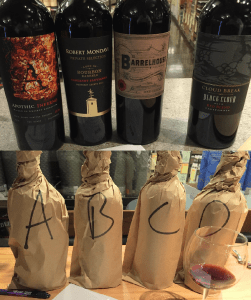 Yes, I’m working on my various certifications and I would like to someday be a Master of Wine but I really don’t want my credibility to rest on some initials. I’d rather get out there into the world and prove my mettle by letting my work speak for itself. Credibility is extremely important to me which is why I’m an obsessive fact checker and like to litter my posts with frequent links and attributions to other worthwhile sources (something that gets Perdue’s seal of approval). I want to get it right and if I have it wrong, I want to learn where I erred so I can be better the next time. This was crazy chaotic and I need to hurry up and wrap up this post so I can get to the next round for Whites & Rosé. 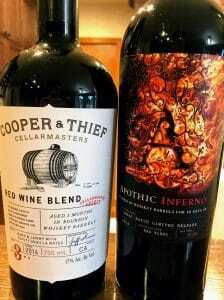 While I tweeted and Instagram about a few things, the wines that are really worth a more in-depth review I will seek out bottles to purchase for a later post. In fact, I already bought a bottle! Kind of made it easy with the Mansion Creek tasting room in the Marcus Whitman hotel. 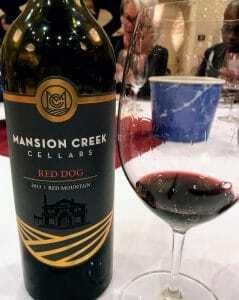 Mansion Creek Cellars 2015 Red Dog — 70% Tinta Cão (hence the name), 28% Cabernet Sauvignon and 2% Grenache-Syrah. Super cool blend and great back story with the Iberian grape varieties. 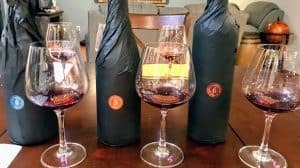 Stone Hill 2015 Chambourcin — This wine made this Missouri girl super nostalgic but also super impressed. It was fairly early in the tasting event and I was spitting so I can’t blame palate fatigue but I don’t remember Missouri Chambourcin being this tasty. 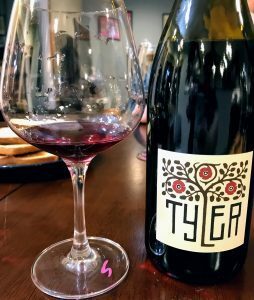 Tertulia Cellars 2014 The Great Schism — This winery thoroughly impressed me at this past February’s tasting of the Walla Walla Valley Wine Alliance in Seattle. They poured the 2013 release of the Great Schism which ended up being my wine of the event and this 2014 was just as good. 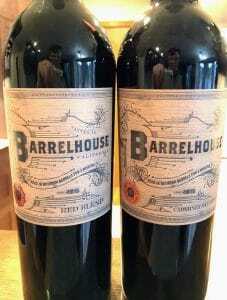 If you are a fan of savory and complex Rhones then this winery needs to be on your radar. I pulled the red ticket and boy did I score with my mystery location being jointly hosted by the crème de la crème of Washington wine. I can’t do the evening justice in a short blurb so I will save my thoughts for a future post. 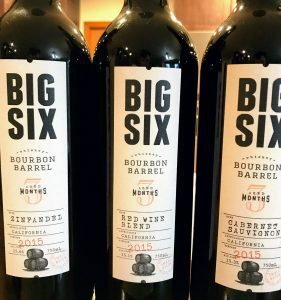 But I will say that this event was the perfect fulfillment of my original expectation from my pre-conference post of wanting to hear other opinions from non-Washington bloggers about our local wines. 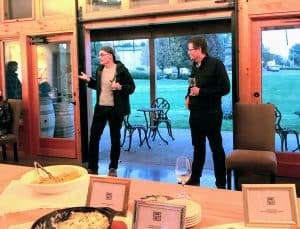 I really enjoyed listening to the perspectives of Las Vegas-based blogger Louisa from The Grape Geeks and Dallas-based Diane and Nathan Roberts of Positive Vines as they enjoyed these benchmark Washington wines. I eagerly look forward to reading their write-up of the event (as well as Earle Dutton of Equality 365 who was my dining companion) and comparing notes. Tagged Albariño, Balzac Communications, Becca Yeamans Irwin, Bob Betz, Bordeaux futures, Cabernet Sauvignon, Chambourcin, Chris Tanghe, Delectable, Domaine Henri Gouges, Earle Dutton, Equality 365, Facebook, Fermentation Wine Blog, Grenache, Instagram, James Forsyth, Keeping up with the Joneses in Burgundy, L'Ecole 41, Lewis Perdue, Mansion Creek Cellars, Martin Ray, Marty Chubb, Master of Wine, Michael Wangbickler, Minority Wine Report, Missouri Wine, Petrus, Pinot gris, Positive Vines, Rías Baixas, Rick Small, Stone Hill, Syrah, Tablas Creek, Tertulia Cellars, Thaddeus Buggs, The Academic Wino, The Grape Geeks, Tinta Cão, Tom Wark, Torrontes, Twitter, Vinous, Viognier, W.B. 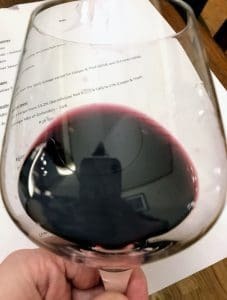 Bridgman, Walla Walla wine, Wine bloggers, Wine Bloggers Conference, Wine Business Monthly, Wine Industry Insights, wine influencers, Wine Students, Woodward Canyon. Fall is here which means shorter days but longer nights to spend curled up next to a great wine book. Here is a look at some of the upcoming October releases that I’m excited to get my hands on. This Two Vintners “OG” Gewürztraminer made in an orange wine style with extended maceration blew me away with how complex and delicious it was. For many wine lovers, “orange wine” is the biggest wine trend that they’ve heard of but haven’t had the chance to try yet. It’s tempting to call this a fad and chalk it up to Millennials’ latest fancy. 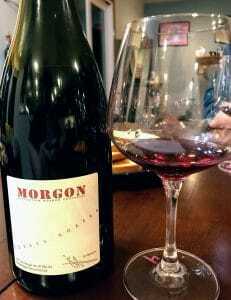 But this is a really old winemaking style that has been around for as long as wine has been made. 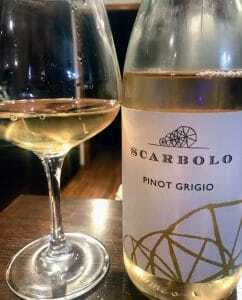 At its most simplest, orange wine is basically just white wine that has spent time in contact with grape skins. This exposes it more to oxygen than the modern method of quickly pressing white grapes and processing them anaerobically. 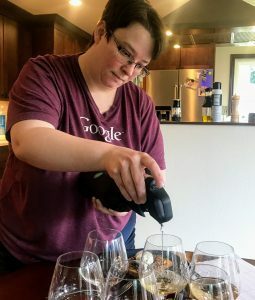 While a couple 2017 releases like Marissa A. Ross’s Wine. All the Time, Master of Wine Isabelle Legeron’s Natural Wine and Alice Feiring’s The Dirty Guide to Wine touched a little on orange wine, to the best of my knowledge, Amber Revolution is the first book devoted exclusively to the topic. Judging by the recent popularity of the category, Woolf’s book is quite timely. Here he covers the history and production methods behind orange wines, as well as profiles 180 producers in 20 countries. At this year’s Louis Roederer international Wine Writers’ Awards, Simon Woolf took home the Domaine Ott International Feature Writer of the Year award for his work at Meininger Wine Business International, Decanter and blog The Morning Claret. The new edition of Windows on the World likely will also touch on orange wine and the renaissance in Georgian winemaking of using Kvevri (Qvevri) amphora jars buried in the ground to ferment and age wine. From the very first edition in 1985, Kevin Zraly’s Windows on the World books have been a benchmark standard in wine education. In addition to his Windows on the World wine classes and books, Zraly has also authored the very useful wine texts The Ultimate Wine Companion: The Complete Guide to Understanding Wine by the World’s Foremost Wine Authorities and Red Wine: The Comprehensive Guide to the 50 Essential Varieties & Styles with Mike DeSimone and Jeff Jenssen (authors of Wines of California that I mentioned in last month’s Geek Notes). Frequently updated, the Windows on the World series has grown to include a pronunciation guide (Kindle only), a tasting notebook and food pairing companion. The current 2018 edition has been expanded to 432 pages (up from 384 pages in the 2016 edition). It includes more detailed coverage of South America, Australia, China and New Zealand with new maps and infographics. For geeks on a budget, there is one advantage of the frequent updates and releases. You can get used copies of previous editions of Windows on the World super cheap on Amazon. For instance, the 2012 edition is going for around $1.30 for the paperback version. While a tad outdated, at 352 pages it still covers the basics and the classic wine regions very well. Any wine student seeking higher level certifications through the Court of Master Sommeliers or the Wine Spirit & Education Trust should be intimately familiar with the wines on the Probable List of Examinable Red Grape Varieties, Examinable White Grape Varieties and the Certified Sommelier Examination Grape Varieties & Growing Regions. All these wines will have distinctive profiles (typicity) with the examination board picking examples that demonstrate these distinctions well. Not only do you need to train yourself how to identify these wines, when you get to examinations like those of the Institute of Masters of Wine you will also have to explain why these distinct profiles exist (terroir, viticultural decisions, winemaking, etc). 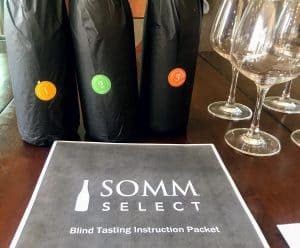 There are not many resources out there tackling blind tasting and typicity from an examination point of view. Of course, there is material from WSET and CMS that you get with classes but outside sources are hard to find. Neel Burton’s The Concise Guide to Wine and Blind Tasting has been the closest I’ve found. 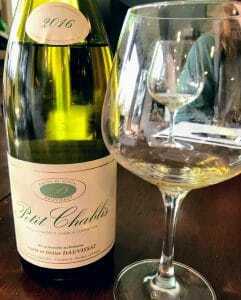 But even that strays more into a “Windows on the World” type overview instead of getting into the nitty gritty details of teaching you to look for this while tasting a Chablis Grand Cru like Les Clos and this while tasting a Chablis Premier Cru like Montmains, etc. I’ll be honest. At this point in my studies, all I can tell you is that they are both delicious. Parr and Mackay’s book looks like it’s going to fill in that sorely needed niche–at least regarding terroir. 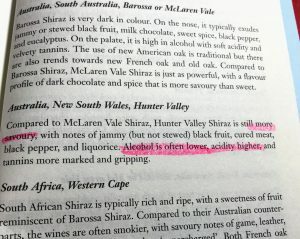 To understand the role of viticulture and winemaking decisions on the taste of wine, James Halliday and Hugh Johnson’s The Art and Science of Wine and Jamie Goode’s The Science of Wine: From Vine to Glass are two of the best books I’ve found so far. I’m only about 3 to 6 hours away from the wine regions of the Okanagan and Vancouver Island. Yet, in all practicality, the wines of British Columbia might as well be from China. Here in the US, they are incredibly difficult to find. Even restaurants in Vancouver are far more likely to offer French, Australian and Californian labels instead of local BC wines. 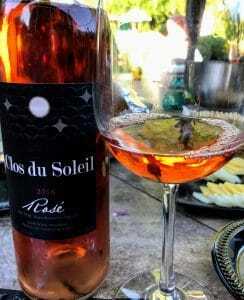 While I haven’t been overly impressed with the Bordeaux varieties in BC, this 2016 Clos du Soleil Cab Franc/Cab Sauv rose from the Upper Bench of the South Similkameen Valley was quite tasty. But every time I do eventually get my hands on wine from BC, I tend to enjoy them. It’s clear that this is a growing industry. With the influence of climate change, it is only going to become more significant on the world’s wine stage. This is definitely an area worth exploring. The few other books that I’ve came across dealing with BC wines have been a brief inclusion in Cole Danehower’s Essential Wines and Wineries of the Pacific Northwest and some of John Schreiner’s (a bit outdated) works The British Columbia Wine Companion (1997) and Chardonnay & Friends: Variety Wines of British Columbia (1999). But with 370 pages, I can see Luke Whittall (already an established authority on BC wines with his blog and podcast at Wine Country BC) going into far more detail about the British Columbia wine scene and the remarkable growth it is has seen in the last 20 years. Tagged Alice Feiring, Amazon, Amber Revolution: How the World Learned to Love Orange Wine, British Columbia Wine, Cabernet Franc, Cabernet Sauvignon, Chablis, Chardonnay & Friends: Variety Wines of British Columbia, Clos du Soleil, Cole Danehower, Court of Master Sommeliers, Essential Wines and Wineries of the Pacific Northwest, Georgian wine, Gewürztraminer, Hugh Johnson, Isabelle Legeron, James Halliday, Jamie Goode, Jeff Jenssen, John Schreiner, Jordan Mackay, Kevin Zraly, Les Clos, Louis Roederer international Wine Writers’ Awards, Luke Whittall, Marissa A. Ross, Master of Wine, Meininger Wine Business International, Mike Desimone, Montmains, Natural Wine, Neel Burton, Orange wine, Pinot blanc, Pinot noir, Rajat Parr, Red Wine: The Comprehensive Guide, Similkameen Valley, Simon Woolf, The Art and Science of Wine, The British Columbia Wine Companion, The Concise Guide to Wine and Blind Tasting, The Dirty Guide to Wine, The Morning Claret, The Science of Wine: From Vine to Glass, The Sommelier’s Atlas of Taste, The Ultimate Wine Companion, Two Vintners, Vines and Vintages: A Taste of British Columbia’s Wine History, Windows on the World, Wine & Spirit Education Trust, Wine books, Wine Country BC, Wine. All the Time, Wines of California.